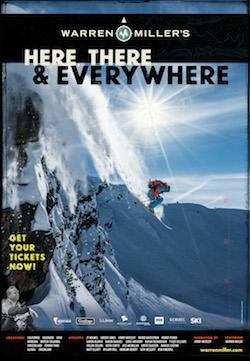 Join Ski Buddies for a fun filled night at this years Warren Miller film - Here There & Everywhere. For those that desire we will meet up ahead of time at a local pub for happy hour before heading to the film. We are getting a block of group tickets for a special price of $22.00, no additional Ticketmaster fees. Sign-up is for a limited time and tickets will only be purchased for those who sign-up so SIGN-UP & PAY BEFORE Sunday, OCTOBER, 23rd! Tickets will only be bought for those members paying for tickets before October 23rd.